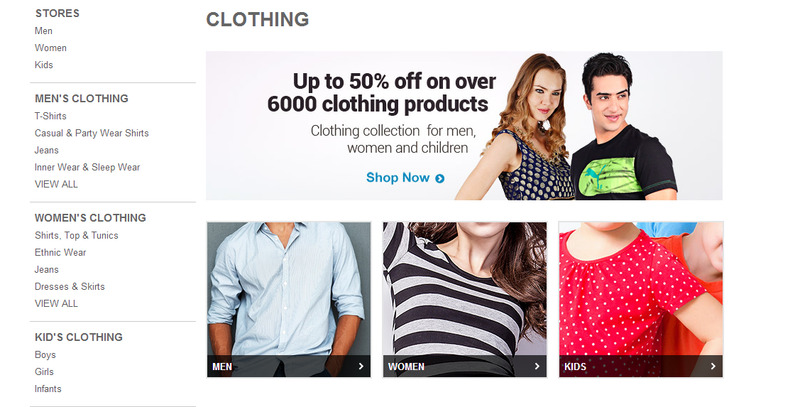 Go to your favourite online shopping website,y ou will get a set of options to choose from.Say that you want to go for clothings. 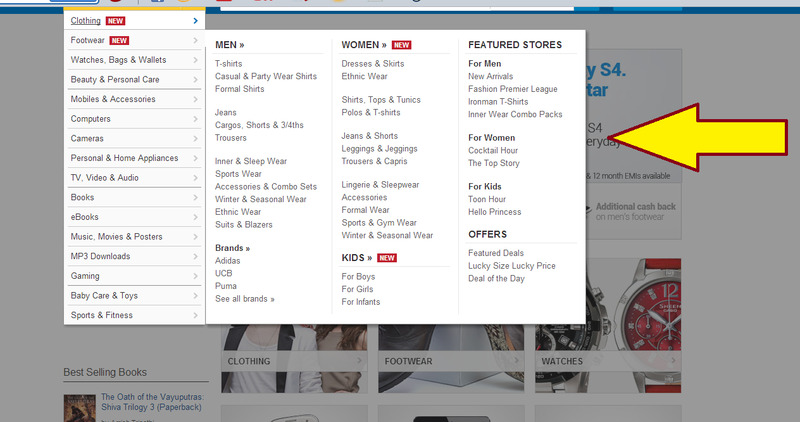 Suppose you want to shop under the womens section,then you can just select any option of your choice. 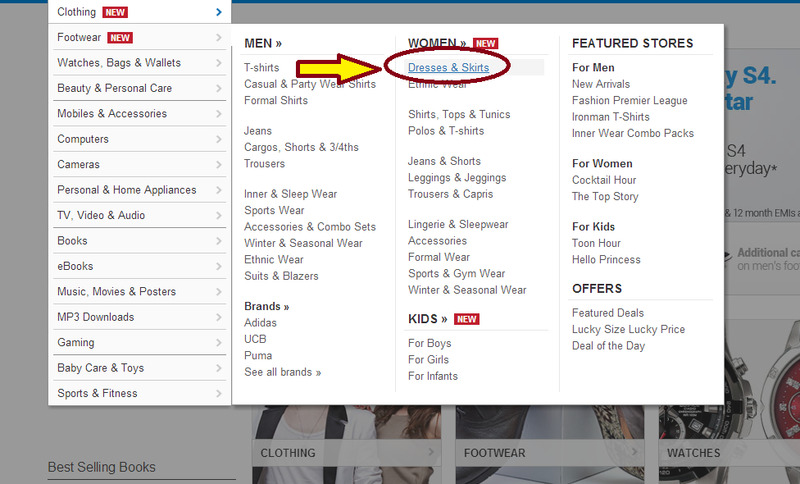 You can see below that "Dresses and Skirts" option has been selected from the women's section. 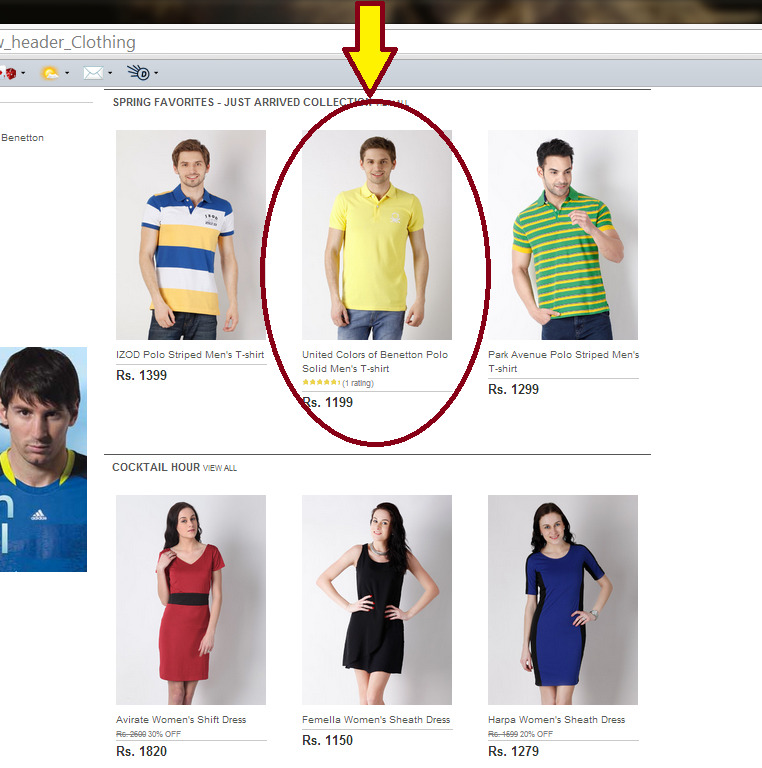 Once you have made a choice,then you can also pick your favourite colour and the size of the shirt as you require. 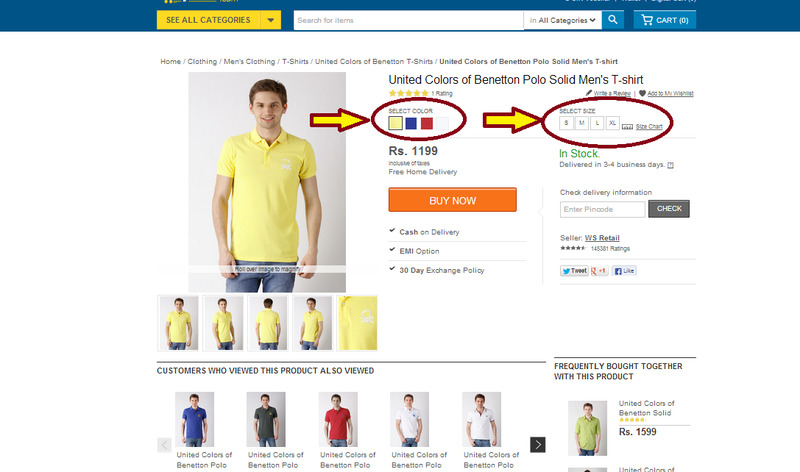 You can also preview the same shirt in different colours and go with the one that looks the best. 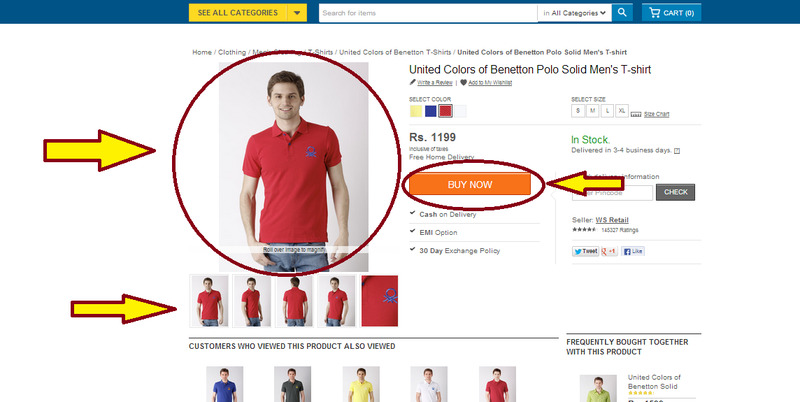 After you have finalised your decision,you can proceed with your online shopping by clicking the "BUY NOW" button as you can see below. 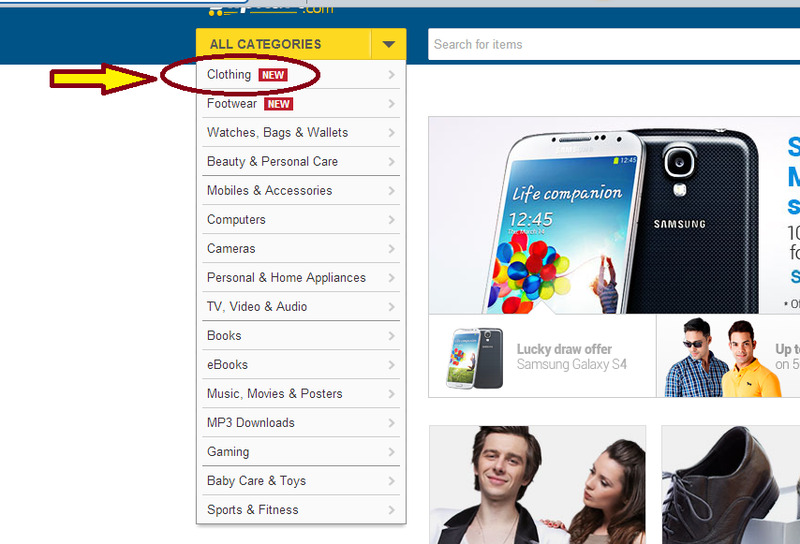 Once you click the buy button,you can view details of all the items you have purchased so far,with detailed information about each of the probuct in your shopping cart. 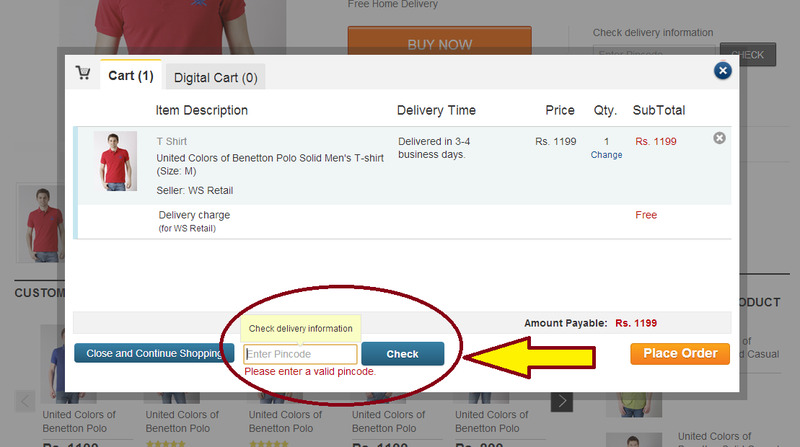 After you have entered the "Place Order" button,you have to fill in the required details as shown below. Once you have filled in your valid Email id,Click "Continue". Then proceed with "Shipping Address",then "Order Summary" and last "Payment Options".